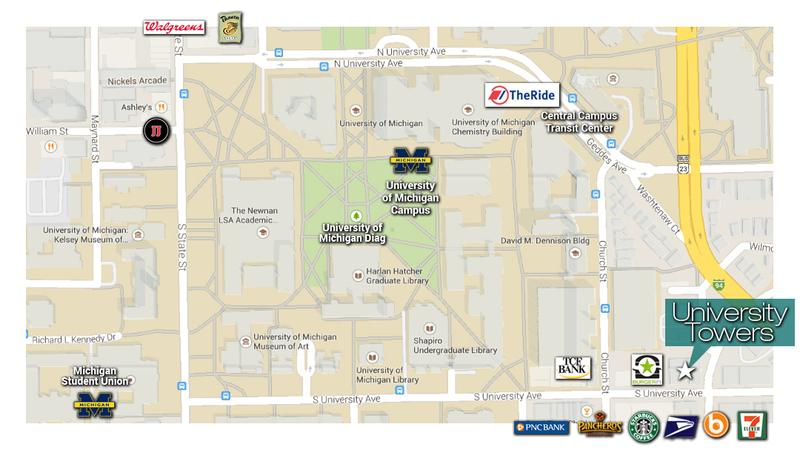 If you're looking for an apartment with a convenient location, but have a tight budget, University Towers offers affordable high-rise student apartments near the University of Michigan campus. 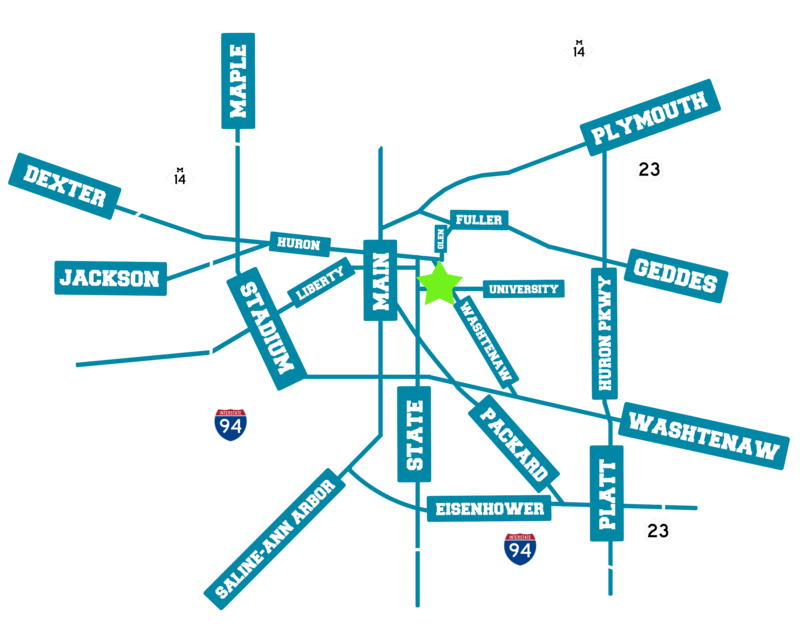 If you want more independence than college dorms offer, but still want to be involved in the campus community, University Towers may be the best choice for you. This modern complex offers several advantages for the modern student, so choose which one is most important to you! 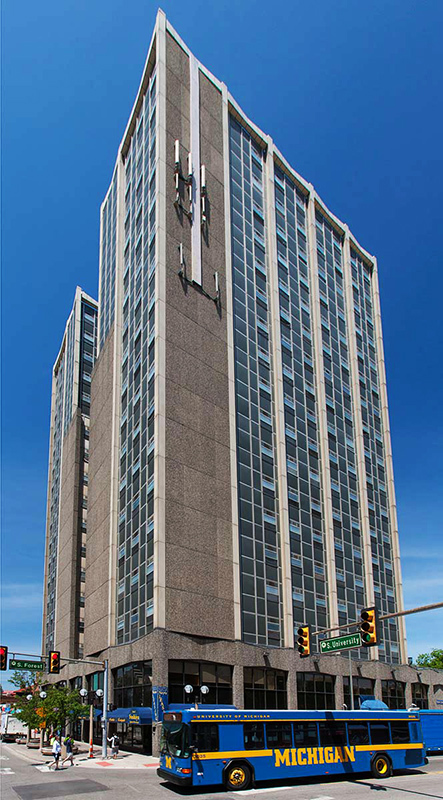 Last summer, we began updating and remodeling apartments of University Towers. Each studio, one, two, and three bedroom apartment is move-in ready, fully furnished apartments. Apartments also include Internet and DirectTV at no charge, as well as free WiFi in the lobby, so you can avoid the distractions of your apartment and enjoy a comfortable study area. Enjoy complimentary refreshments at our coffee bar In terms of physical activities, we offer a beautiful patio deck and pool during the summer, and we offer residents year-round access to our state-of-the-art gym facility. If you aren't sure who you'd like to live with, fill out a roommate matching form, and we will set you up with the person that best fits your needs and preferences. Monday — Friday: 10 a.m. — 6 p.m.
Saturday: 11 a.m. — 5 p.m.
We want to make your living situation as comfortable as possible, so give us a call!